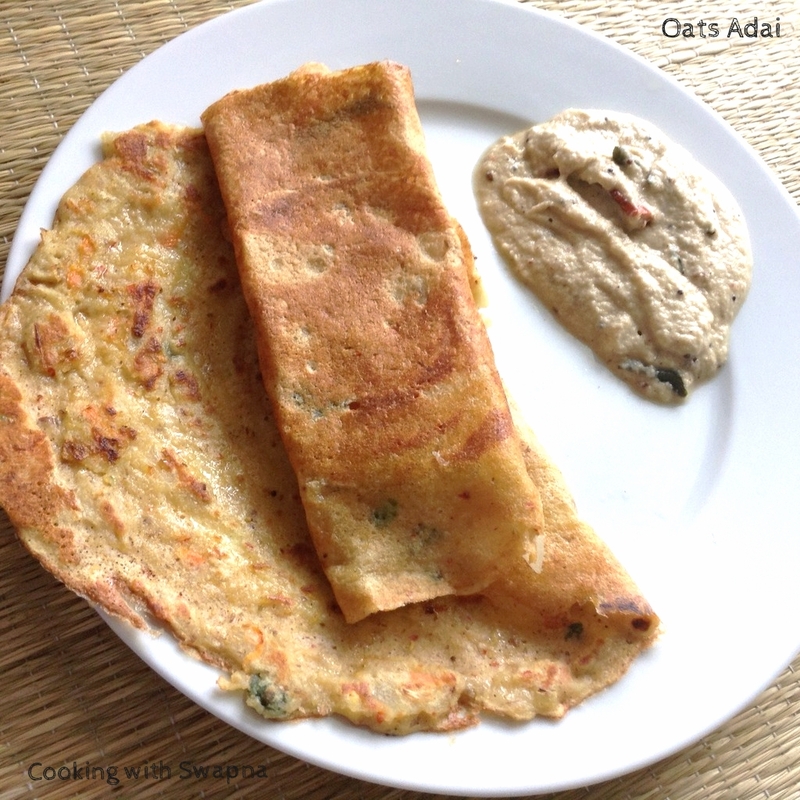 Oats adai is one of the quick & healthy breakfast menu for busy mornings. 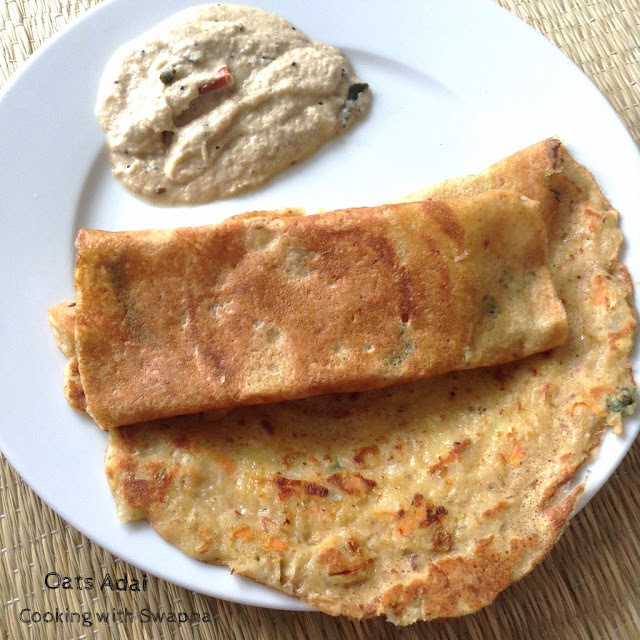 I use oats instead of rice to make a healthier version and almost carb free and it is loaded with fiber-rich oats, dal and vegetables. No fermentation is required and can sprinkle some powdered flax seeds over the adai while cooking. 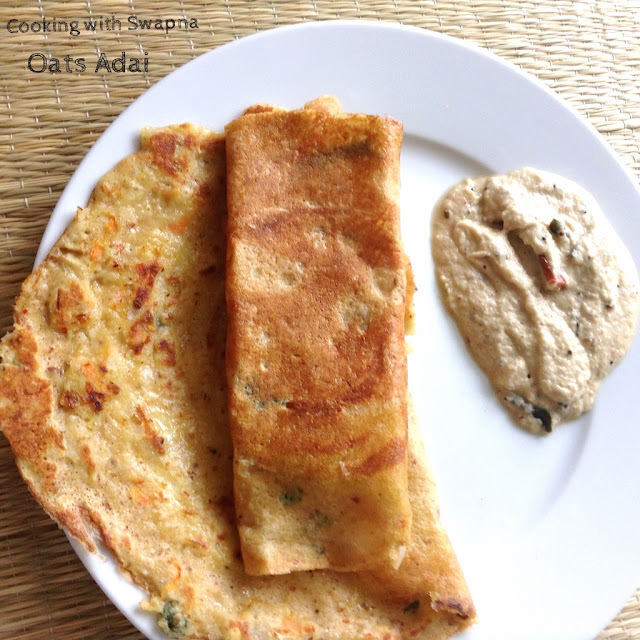 Taste great with coconut chutney !!! 1. 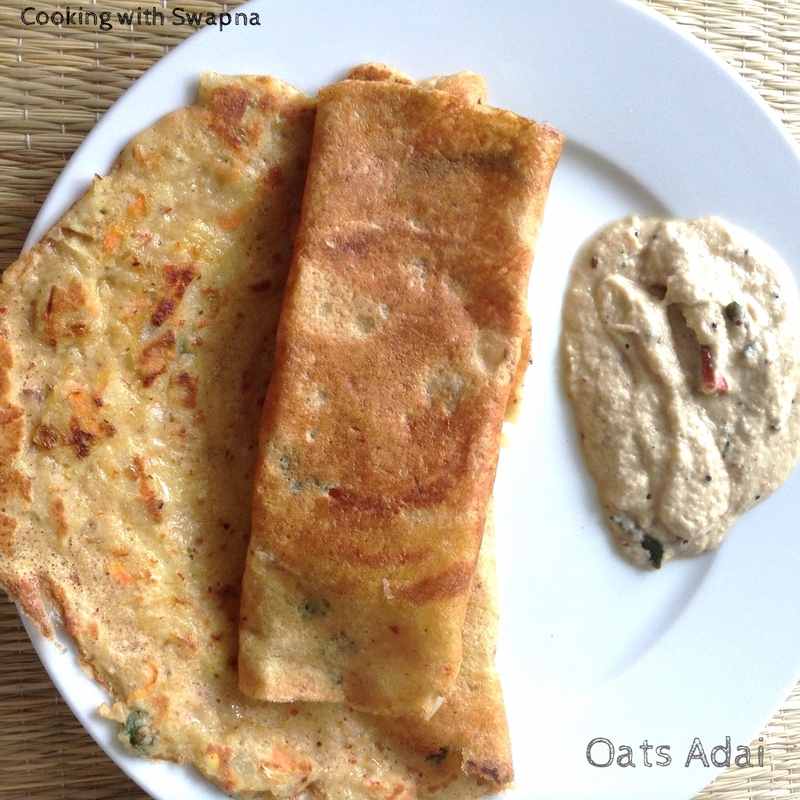 Soak dal in water for 2 hours and Oats for 20 mins. Drain and grind them to coarse paste along with cumin seeds & red chilly. Add enough water & salt while grinding. The batter should resemble like a idly batter. 2. Add finely chopped onion, green chillies, hing, curry leaves, grated carrot and coriander leaves to the batter. 3. Heat the skillet, pour a ladle full of batter in the centre of the pan and swirl around to form a circle. 4. Drizzle some oil around & over the adai and cook for 2 to 3 mins on either sides. Bansi Rava Vegetable Kichadi !!! Granny's Chocolate Pound Cake - Delicious !!!! Basbousa - Egyptian Delight !!! !